This entry was posted in Fashion and tagged accessories, bags, fashion, humor. Bookmark the permalink. It’s true! I have an entire collection of “green” bags that ARE very versatile. I know that for weekends at the lake, I can tuck my entire wardrobe into one. I read recently somewhere (was it the NYTimes) that some of these bags actually are collectible, because in some cases they are given out in limited editions. Anne, I’m still looking for that PERFECT bag! I’ve always been a “pocketbook” (what it was commonly referred to in my youth) lover. I’ve enjoyed owning many purses, but now not as much. I tell my daughter all the time that one fabulous Louis Vuitton bag will last you a lifetime and look amazing with everything. Unfortunately, I don’t own one! So one of these days, I’m going to scour TJ Maxx for that perfect bag! 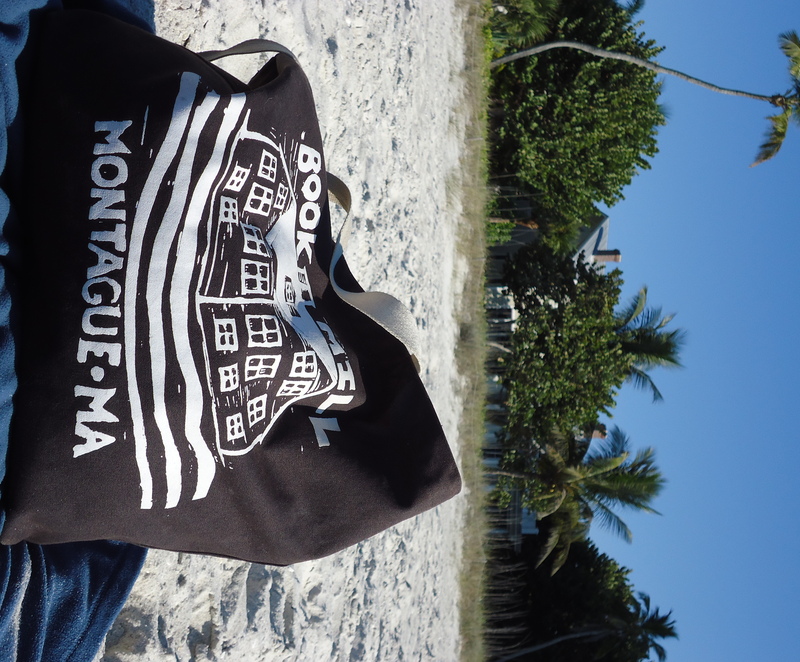 Love your humble book bag and the story of your attachment to it! Isn’t it fun how our accessories can carry their own stories?! Your bag is indeed magical – it reminds me of the tents in the Harry Potter books that look normal on the outside but hold dozens of people inside. I love your description of your Florida beach days too. Your writing really takes us along with you! I hope you enjoy a nice warm weather vacation and your magical bag too. I find that very encouraging. I had hoped that some of these high end bags lived up to their price. It sounds like yours does! I get why bags are expensive, because the perfect one is worth its weight in gold. I just laughed SO MUCH reading this. You are such a rebel! 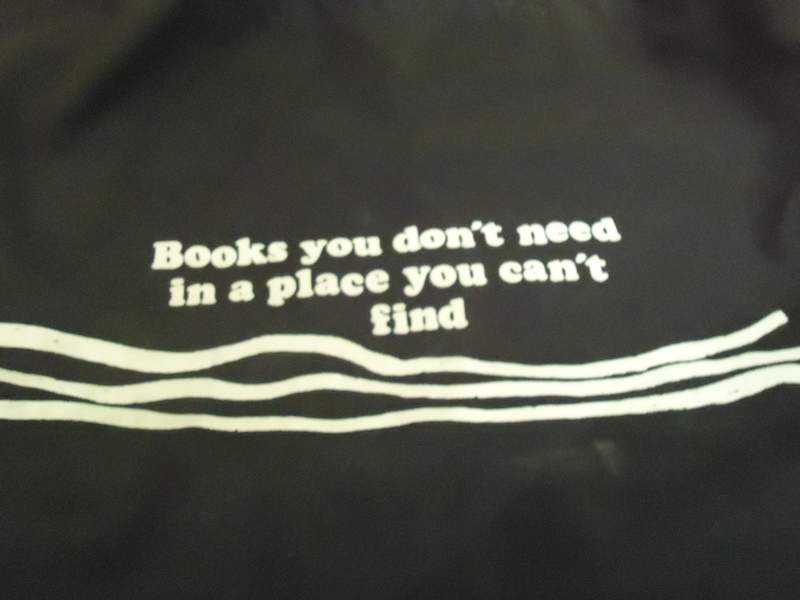 All my bags are tote-sized, or they look that way after I shove 20 pounds of books and a huge water bottle in. Sadly, none of them are magic. If they were, they would have prevented all the mishaps, like the not-quite-closed water bottle leakage, the tripping over the straps airport incident, and the bird poop beach episode. Hee! I think the straps on this bag may have, once, ALMOST tripped my seatmate on an airplane. And I’ve had many, many water leaking instances. Not yet on the bird poop, but I”m sure it will happen eventually! I once had a cheap vinyl tote bag that I got free with a subscription to MS. Magazine. No matter how much stuff I had it it, I could reach my hand inside and immediately place my hands on my house keys. Now THAT’s magic! Oh, you are not kidding. THAT is the bag I need. I love bags! Something I noticed at Christmas, was how many fun shopping bags were for sale! I would have one of each if I was extravagant! It would be fun to have a different one for different shopping experiences. Oh well, I do love my big bags and it is sometimes hard for me to decide which one I will go with…they do have powers!! Fun post! It’s you that makes the bag classy. Great post. Love it!! I just can not imagine paying $500 for a purse!!! I have trouble shelling out $10!!! My favorite purse is one I rarely carry–it’s a small black wool crepe handbag that my great-grandmother got in the 1930’s. oooooh, that sounds like a keeper. Quite an heirloom, no? Take good care of it! Our local government just instituted a “bag tax” on shopping bags to push everybody to reusable shoppping bags. I’ve got a little collection. It’s fun to buy one when you’re someplace new and then use it at the grocery. I try to keep my daily bag small because it gets heavy if I don’t and then my shoulder complains. When I first started working I saved up my pennies to buy a fancy handbag, and just a few weeks later got mugged. I always blamed that expensive bag for attracting that mugger. It’s LeSportsSac for me. My go to bag is a Burgundy Coach bucket that is older than my kids. I took it to France and felt fine about it. For Spring and Summer, I have a Yellow Coach bag. 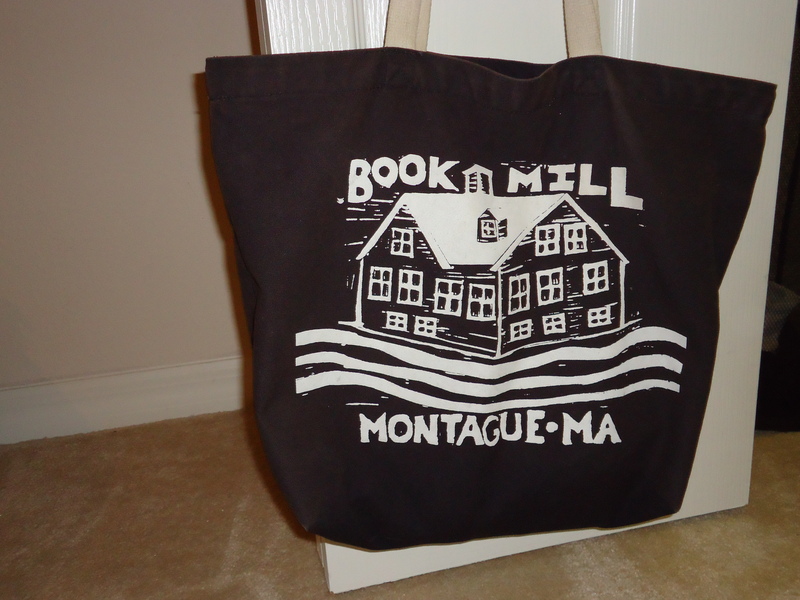 For totes, I like the Barnes and Noble ones – since they are strong enough for books. The bag I’m giving a rest to is a Dooney and Burke that is also over 30 years old. The funny thing about it is that I was first attracted to it because there was no logo of any kind on the outside, and today they are covered in logos. I totally agree with you about the two sunscreens. And two towels is always better. 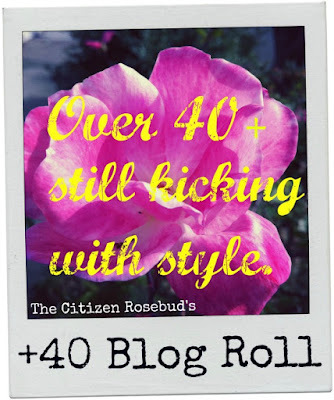 This was a fun post! Oh yes! I have a whole collection of pretty little sequinny clutches in diffrent colours. Some of them have never seen the light of day. I just can’t resist them. And for my summer holiday, I always carry a straw basket with a pretty lining. Just seeing it makes me think of long summer days ahead. lol anne–you always make me laugh! so true too—sometimes its just the novelty of an object that can make chci-itude! Are you enjoying the warm weather now? I will be shortly….can’t wait. No more wandering in the dark at 4:30 for me! Hi Paula — Yes, still enjoying it for a little while longer. Hooray! I am a bagaholic, I own a few designer bags but also like funny tote bags or just bags that remind me of something ! Yours seems to be very special. I sure take too many things in my bags, they all need to be very resistent and large ! LOL ! I double bag, a cute fashionable but thrifted handbag plus these days an YWCA carry all bag. My carry all not so pretty bag says that i buy recycled clothing and all profits go to support activities at the Y.